Rivaling the most prestigious downtown Chicago art museums, The Blackstone's art collection is one of the city's hidden treasures. 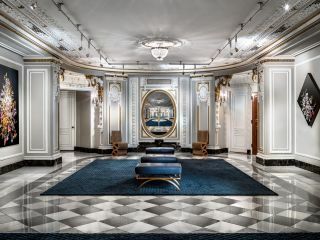 Comprised of over 1,600 artworks, primarily created by local artists, the collection includes pieces that not only conjure up Chicago past and present, but evoke this legendary hotel's regal architecture. Browse the selection of works, and go back to a time when the sounds of Louis Armstrong, Lena Horne and Nat King Cole filtered through the halls; when the headlines brimmed with Al Capone's lurid exploits; when The Blackstone played host to Presidents and celebrities alike. 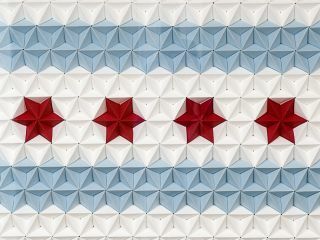 Find one of the city's most intriguing art collections during your stay, and come away with an enriched perspective of Chicago. 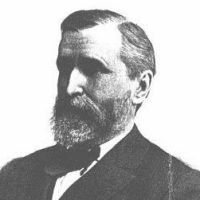 The Blackstone’s namesake, Timothy Blackstone, was a curator himself, donating Blackstone Hall to The Art Institute of Chicago. Added to the East Wall of the original building in 1903, the enormous two-story gallery spanned the area between today's Asian Art and Prints and Drawings galleries, housing over 150 plaster cast sculptures; these included replicas of Greek and Roman art received as gifts from the French government. Demolished in 1958, Blackstone Hall was redesigned throughout the following year. After the redesign Blackstone Hall was partitioned into several galleries, allowing for an immersive viewing experience. Mark Debernadi’s atmospheric series of photographic prints. Displayed in some of our meeting rooms, they chronicle historic Illinois locations such as Lincoln’s Log Cabin and Ronald Reagan’s boyhood home. Custom made pieces by David Soukup for our modern guest rooms. David Soukup [born 1985] is known for his stunning hand-cut stencil paintings of the urban environment which lie at the boundary between photo-realism and graphic design. Soukup catalogs city life, specifically the life in his hometown of Chicago, and the decaying and now forgotten alleys and fire escapes of a previous life. His paintings reflect accumulated memories and experiences, with rich texture, abstract, and intentional elements and techniques. For a gallery experience, head to our Chicago art gallery on the fifth floor, Art Hall. Juxtaposing classic architecture with contemporary art, The Art Hall features an ever-changing collection of cutting-edge new media art, contemporary photography, paintings and graphic works by local artists. Take a unique piece of Chicago home with you—each work is for sale. In 2017, The Blackstone took the art program to a new level with curated pieces created to combine the hotel’s notorious past with perpetual newness, curated for the contemporary present of The Cultural Mile. Art pieces were created to grace the walls of the 1600 Club as well as on display at every guest room floor.